From the Back Cover&colon; What was the relationship between the church, Scripture, and the creeds of the early church? What implications do these creeds, specifically the Nicene Creed, have in today's postmodern, ecumenical context? 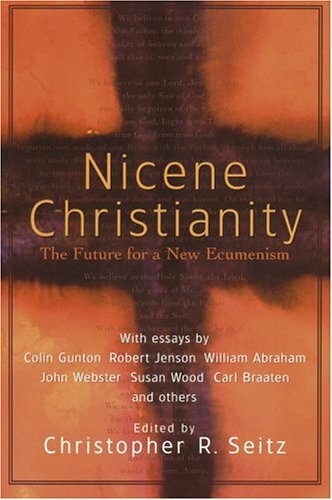 Nicene Christianity presents some of the world's premier theologians in an exploration and exposition of the Nicene Creed. It explores the ecumenical and practical implications of confessing the Creed as Christians, in the ancient world and in today's postmodern context..
Christopher Seitz is professor of Old Testament and theological studies at the University of St. Andrews. He is the author or editor of more than a dozen books, including Word without End.